Plan a grand slam baseball good time whether your are planning a birthday event or team party during or after a great game with our amazing baseball league designs to Wow your guests or teammates. Begin planning your event with our selection of baseball theme invitations and thank you notes. Greet your guests or cheer your team on with our fabulous baseball theme Personalized banners. The party or after game tailgating will be special with our baseball theme kits with party supplies. 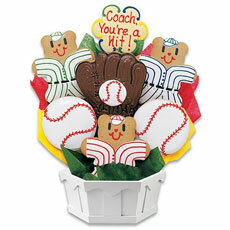 Arrange baseball designed balloons into a bouquet to be used as a centerpiece or individually as a favors. Invite each guest to enjoy a photograph with our baseball photo stand in to have a memory of a special day. Last but not least hand each guests a baseball party favors loot bag or favors box filled with baseball favors and fun. Baseball Invitations designed with a field of green surrounded by a large white leather ball stitched in red is what we feature on the front of our Baseball Crest Invitations. 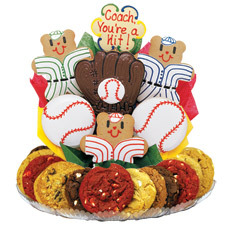 Our Baseball party tableware kits include almost everything needed for a party. Invitations, plates, cups, napkins, cutlery and balloons. Select and buy one of your baseball theme banners to cheer your team on or greet your guests at baseball Party. Have fun with our baseball theme balloons by placing them at your party's entrance, at Activities, centerpieces for your guests tables and party favors. When planning a party for your favorite MLB team, we have a select of MLB balloons and solid colored latex balloons to create a homerun centerpiece for each table. Whether you are having a baseball Party or having a baseball game with family or friends, reward your guests with our baseball Party favors for a grand slam fun and memories.